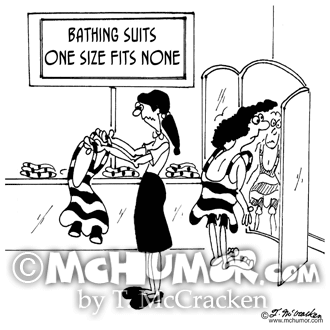 Fashion Cartoon 7293: A store advertising a "Sale on Bathing Suits, One Size Fits None" as women try on humongous bathing suits. 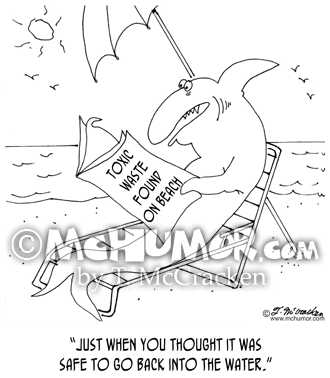 Santa Cartoon 6193: "Sea-Suns Greetings." 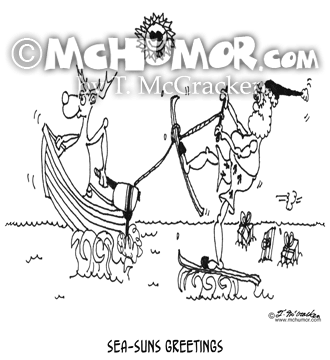 Santa water skies as Rudolph pilots the boat. 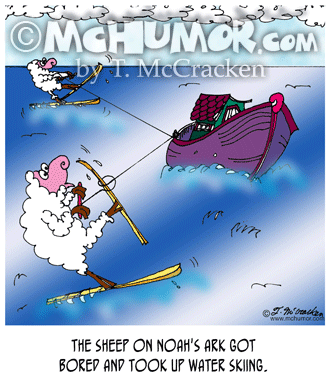 Water Skiing Cartoon 6695: "The sheep on Noah's ark got bored and took up water skiing." 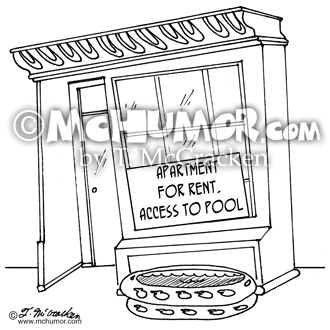 Pool Cartoon 5922: A building with an inflatable kiddy-wading pool in front of it with a sign, "Apartment for Rent. 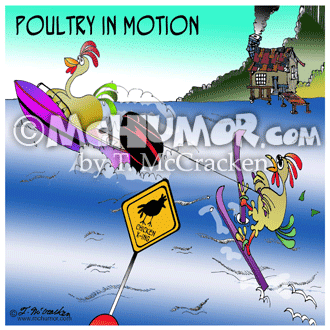 Access to Pool." 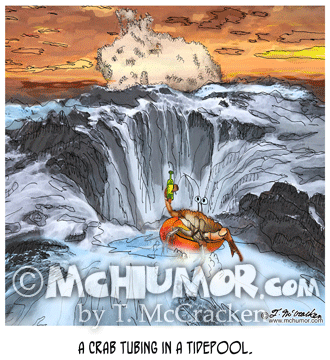 Tidepool Cartoon 8826: "A Crab Tubing in a Tidepool." 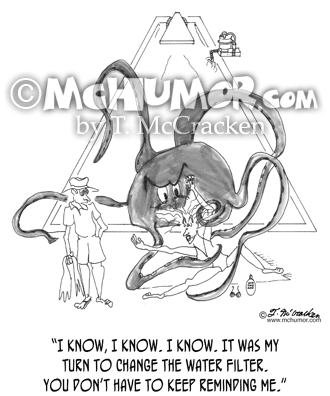 A crab drinks a beer in an inner tube and is about to be sucked into a whirlpool. 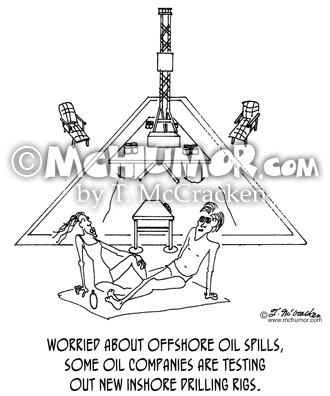 Swimming Cartoon 0885: “Worried about offshore oil spills, some oil companies are testing out new inshore drilling rigs.” A rig is in the middle of a swimming pool. 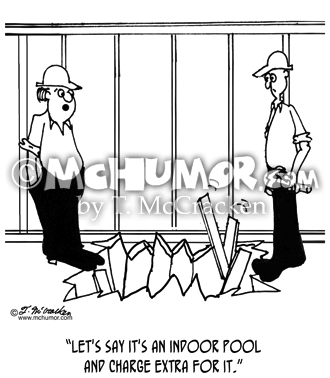 Carpenter Cartoon 3706: Looking at a hole in the floor a carpenter asks another, "Let's say it's an indoor pool and charge extra for it."